Happy Friday! I hope you all have had a wonderful week! How is this weekend Memorial Day already?! Is it me, or did May fly by??! In honor of the holiday weekend, I’d thought I’d share some of my favorite things if you’re hosting or attending a BBQ. 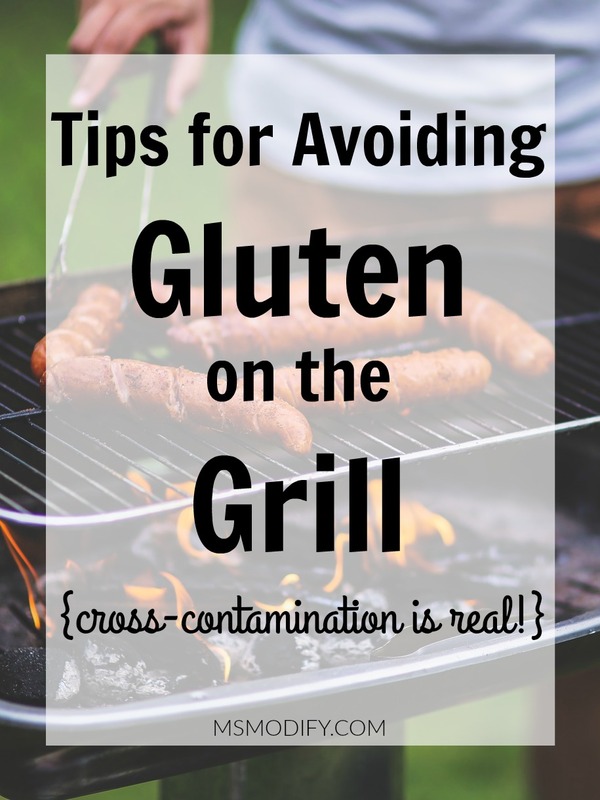 Cross-contamination on the grill is a BIG DEAL! If you’re attending a BBQ this weekend, be sure you read my tips so you don’t get sick! 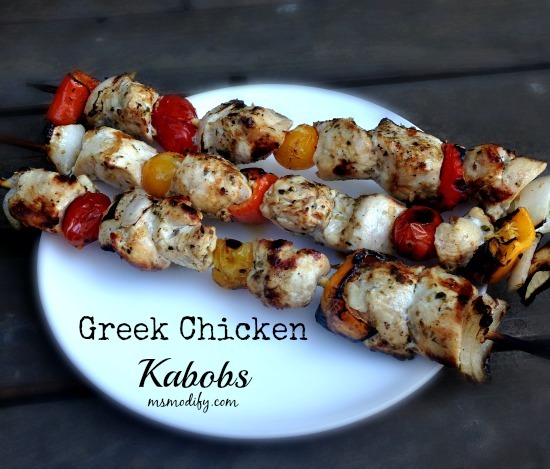 These Greek Chicken Kabobs are our go-to for BBQs at our house. They’re simple to make and always a big hit! We are not mayo fans in my house, so traditional potato salad isn’t something I’d ever make. 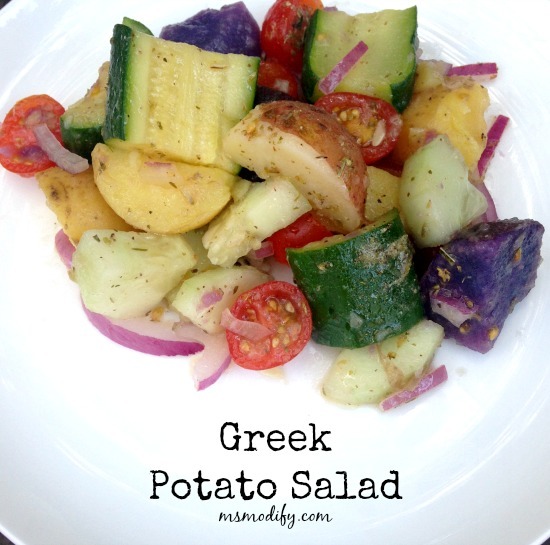 This is a Greek twist on potato salad and has become a favorite of ours! 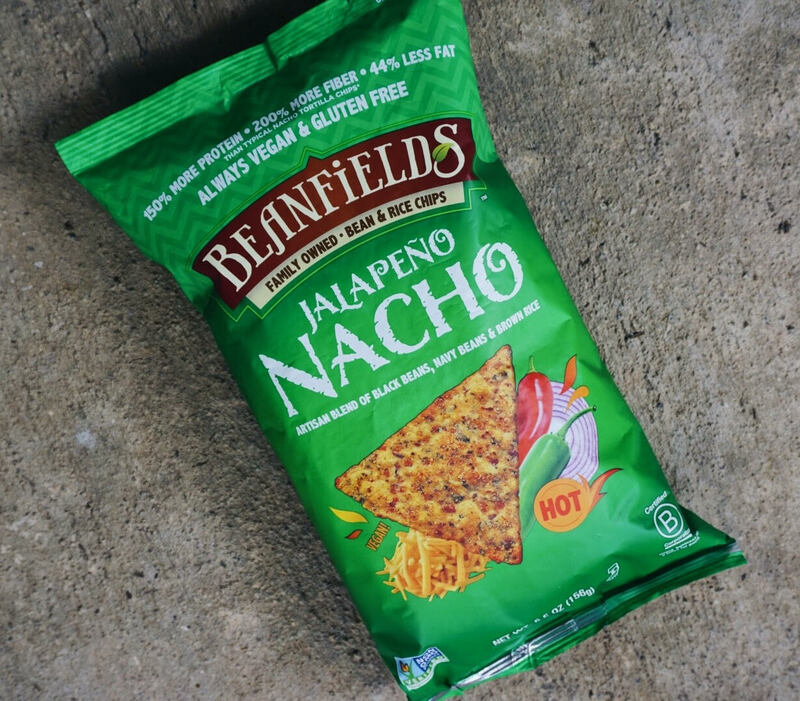 If you follow me on Instagram, then you saw I posted this picture yesterday of Beanfields Chips. These chips are certified gluten free, Non-GMO and higher in protein & fiber than your average corn chips. They also come in other great flavors! How cute is this?! I was searching Pinterest for healthy festive desserts to make for this weekend and came across this! You can easily make this gluten free & no one will ever know! 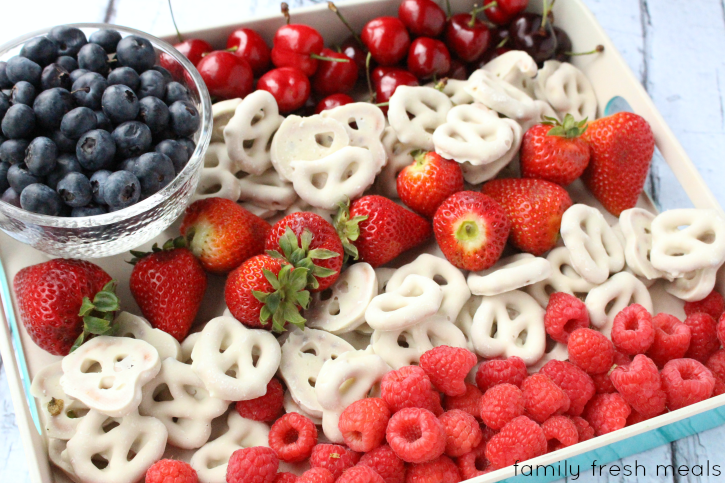 Just use these Glutino Yogurt Covered Pretzels. 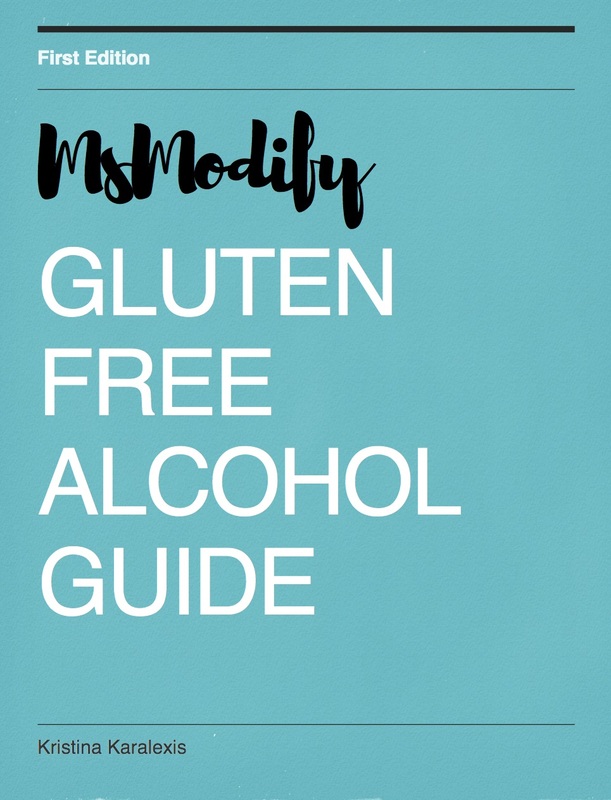 Before you head out to your BBQ this weekend make sure you know which alcohol is gluten free! There you have it, some of my favorite things for your Memorial Day weekend! I hope you all have a great holiday and take a moment to celebrate, honor and remember everyone who has sacrificed for our freedom! 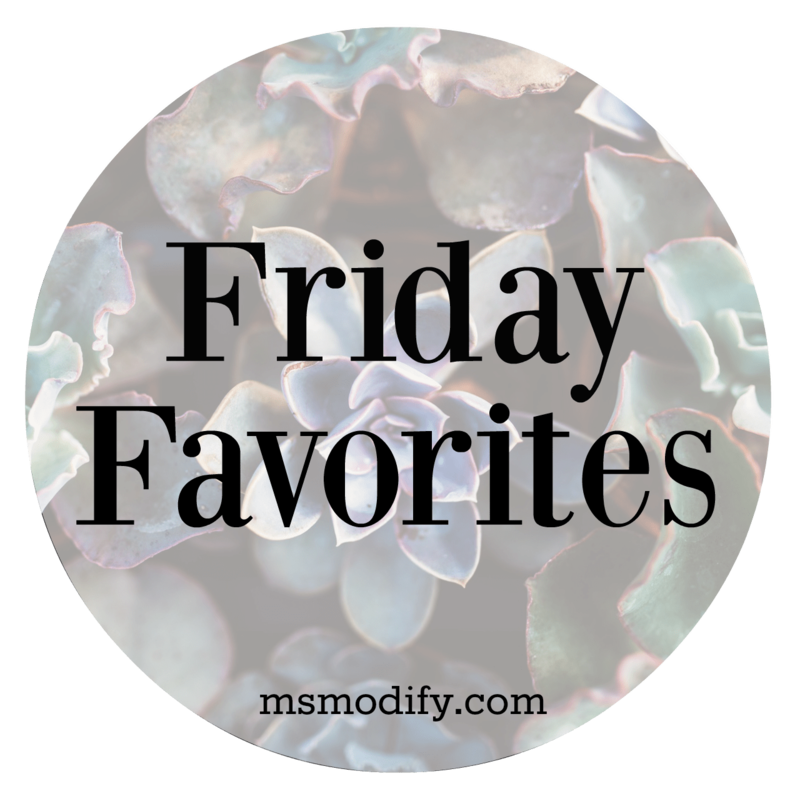 This entry was posted in Lifestyle and tagged BBQ, Friday Favorites. That greek potato salad looks SOOOO up my alley!!! I hope you had an amazing Memorial Day weekend, girl! The salad and kabobs look really good. I can’t wait to try those out!